In this book, we look at each of the three data protection languages to help you empathize, communicate and collaborate with various teams within your organization. 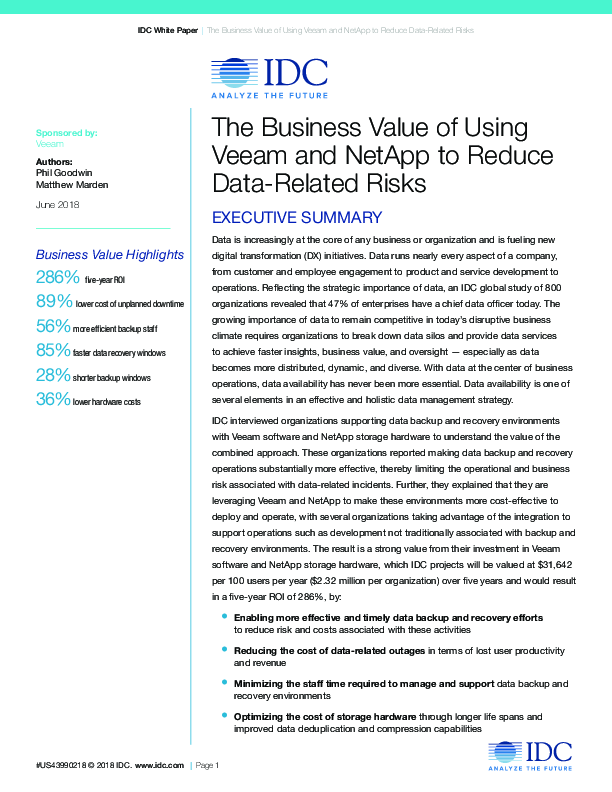 Read this new IDC research paper to learn how joint Veeam and NetApp solutions mitigate risk, enhance Availability, reduce IT complexity and lower costs. 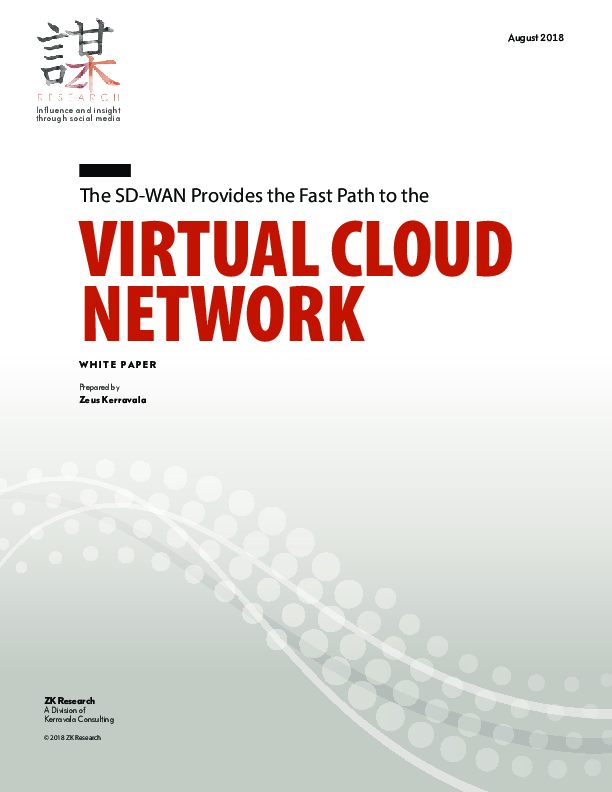 As organizations prioritize digital transformation initiatives, many are finding that legacy networks are holding them back. 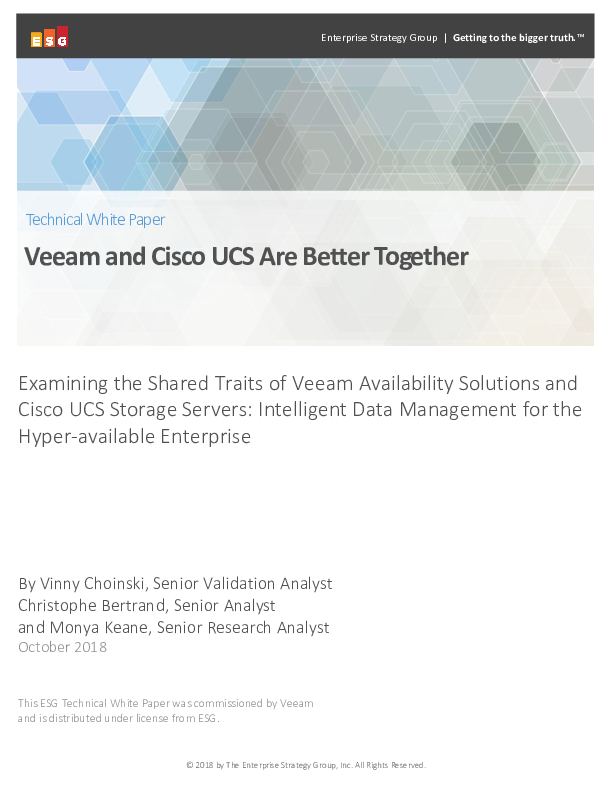 To support new business models, cloud adoption, and an explosion in connected devices, modern networks must support interoperability across data centers, multiple clouds, branch locations, and edge devices. 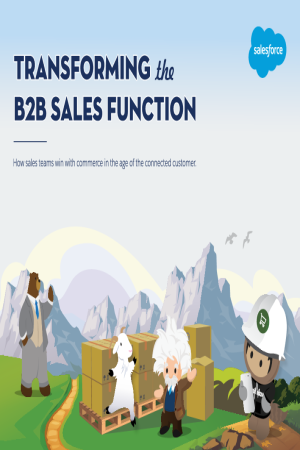 Learn how over 2,900 B2B sales professionals are transforming the sales function by creating seamless buying experiences and engaging with buyers across every touchpoint. The Digital Platform is the most important technology decision an enterprise will make in the next 1-2 years. 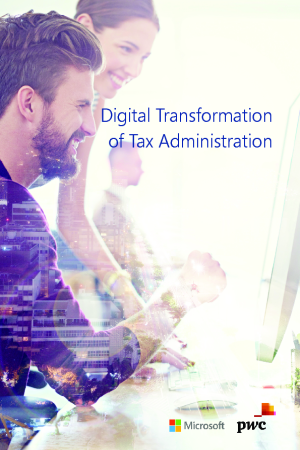 Digital transformation is about re-imagining how you bring together people, data and processes to create value for your customers and maintain a competitive advantage in a digital-first world. Download this webcast to learn more. Digital forces are affecting operations within nearly every industry, presenting manufacturers with a renewed opportunity to drive efficiency throughout every link in the supply chain—from strategic research and development, agile factory operations and ongoing maintenance capabilities. 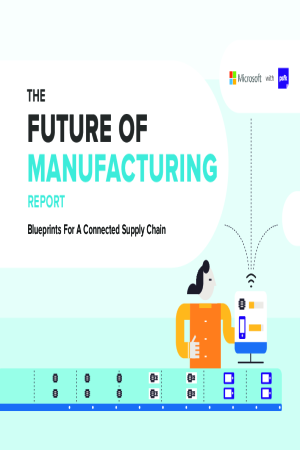 With the availability of IoT and other connected sensors, manufacturers are pivoting towards new business models focused. The price of care is rising, incidence of chronic disease is going up and reimbursement models seem to be in perpetual flux. 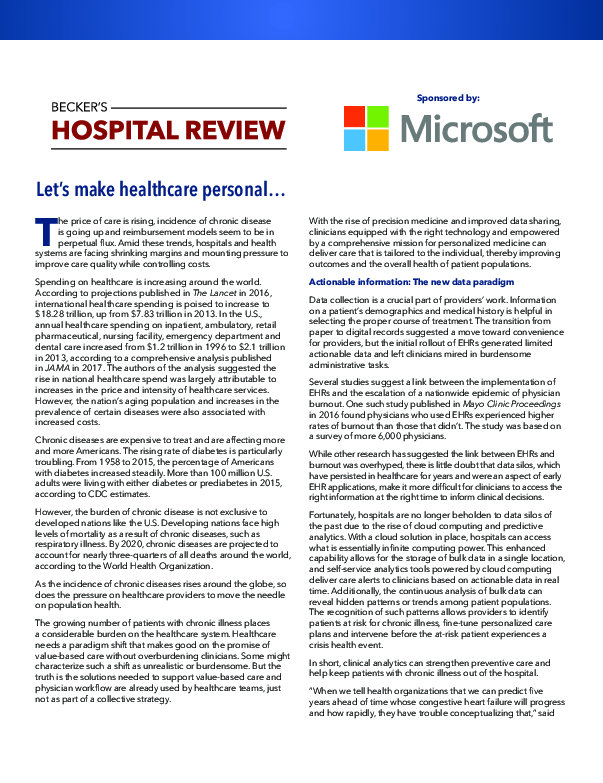 Amid these trends, hospitals and health systems are facing shrinking margins and mounting pressure to improve care quality while controlling costs.